Amongst the various guests that will be attending your event, there are bound to be VIPs who will require their own designated transportations services, which may include a VIP shuttle. Smaller groups could be ok with something like a luxury SUV, but for larger parties, a VIP shuttle will keep everyone together, whether they’re travelling from the airport or simply looking to have a fun night out on the town together. 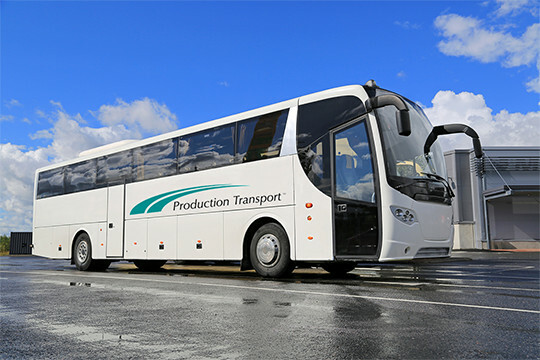 At Production Transport, we’ll work with you to find the right VIP transportation options. While VIP transportation is a service we offer, we’re also chosen by industry leaders to plan for events with a huge amount of guests. A fleet of shuttle busses can make your event run that much smoother. Also, depending on the location of your event, you might have a large number of guests flying in, so they’ll need airport transportation too. Simply let us know what you’re looking for and we’ll create the right solution for your event. We’ve been operating in the transportation industry since 1982, and every single event we help organize transportation services for makes us that much better the next time around. We’ve worked at every major convention and tradeshow venue throughout the United States and Canada, and have comfortably organized transportation services for events with well over 100,000 attendees. Our attention to detail is unmatched, and we give every single driver we hire a manual that maps out every possible route throughout the event.